Jewel is particularly enamored with Paleo recipes. She flipped through The Primal Blueprint Reader Created Cookbook and commented on how wonderful all the recipes sounded: avocado, bacon, coconut, chicken, pork… I asked her to pick out some recipes to try, and she said that everything sounded good except the spicy recipes. 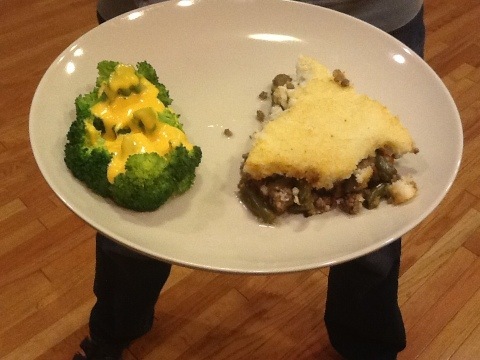 We settled on two recipes to try this week: Shepherd’s Pie and Pork Tenderloin with Cilantro Pesto. 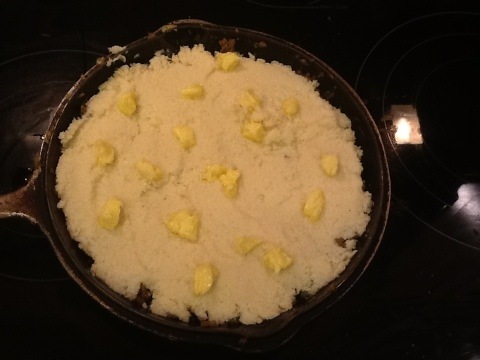 I decided that Shepherd’s Pie would be a good choice for a Sunday dinner. 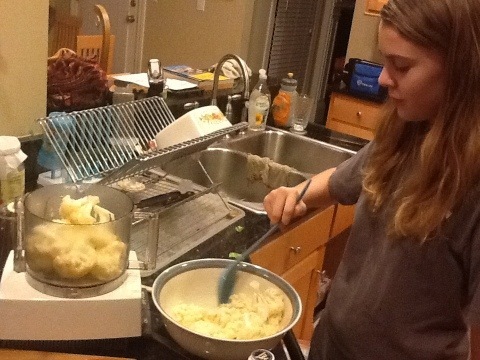 Steam a head of cauliflower until tender, then process with butter and cream until smooth. We used a large head of cauliflower, so we ended up with some leftover. 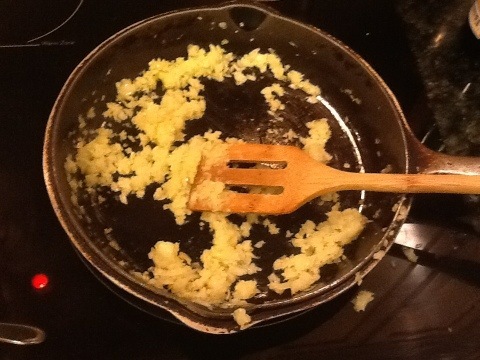 Sauté chopped onions until tender. Add vegetables. I didn’t think green peas were Primal, but since this cookbook is from Mark’s Daily AppleI guess they’re ok. 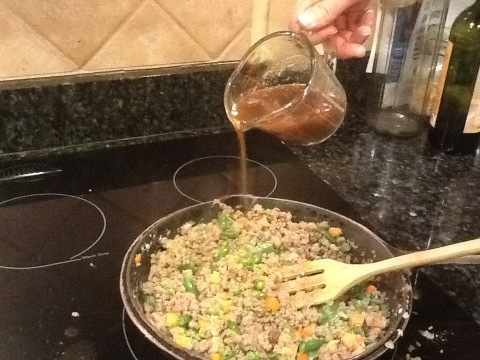 Slowly add beef stock. I think this was a large part of why this recipe turned out so incredibly delicious. I used a pot roast stock that I had in the freezer. 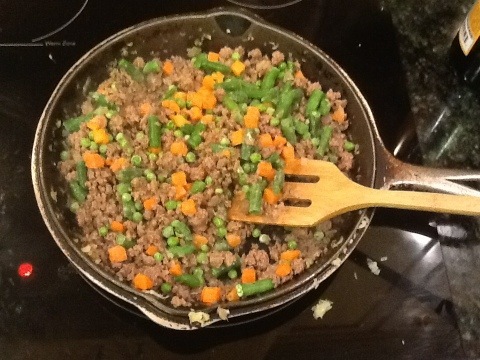 Spread the mashed cauliflower over the top of the beef and vegetable mixture. 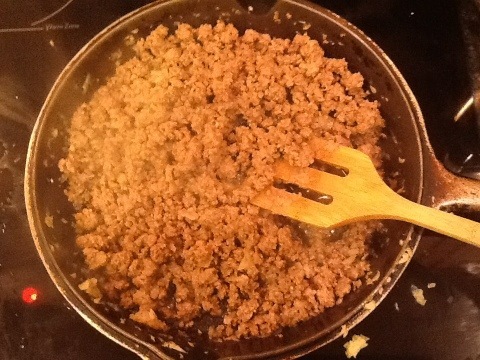 Top with pieces of butter. If you didn’t use an ovenproof skillet, you’ll need to transfer this to a pie pan. Tom’ dinner. I couldn’t put my finger on what was missing. A few minutes later I smelled the asparagus getting a bit too crisp in the oven. We ate it anyway. I thought that this was one of the best things I had ever made. Comments: We really pushed the pace! I got my heart rate as high as it used to get on an easy run. Asparagus was still good. Crispy the way I like it. 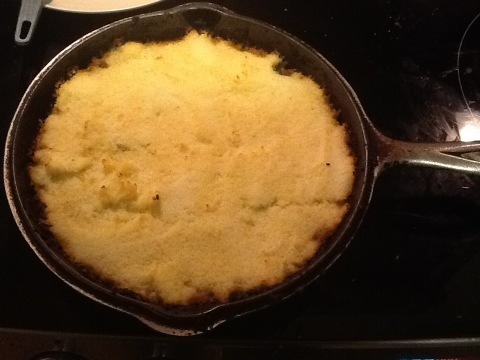 Shepherd’s Pie is a keeper. 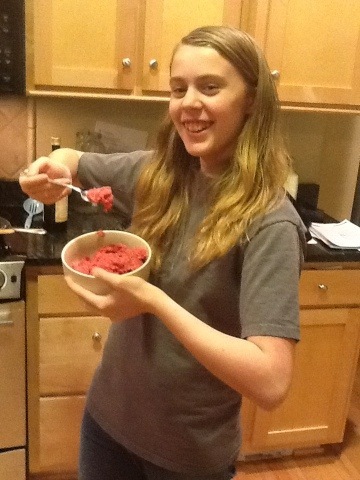 Looks like Jewel had fun..wish I could have tried the Shepherd’s pie. We’ll just have to make it again! I think you and Dad would like it.